Spring has sprung and April is the prime time for asparagus! 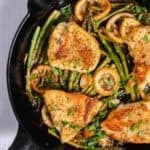 This lemony chicken with asparagus is the perfect one skillet meal to make this week for dinner! You can find asparagus year round in most grocery stores, but April is prime time for these long spears of deliciousness. You want to make sure the tips are closed and if you don’t eat them the day of, wrap a damp paper towel when storing in the fridge. I snap off the ends of the asparagus, or you can cut them off, but snapping is fun. 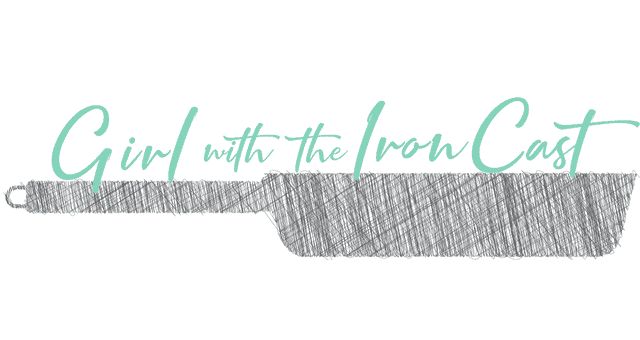 For this recipe I used my favorite adobo seasoning. This Adobo seasoning includes pink Himalayan sea salt, garlic, onion, black pepper, oregano, and turmeric. 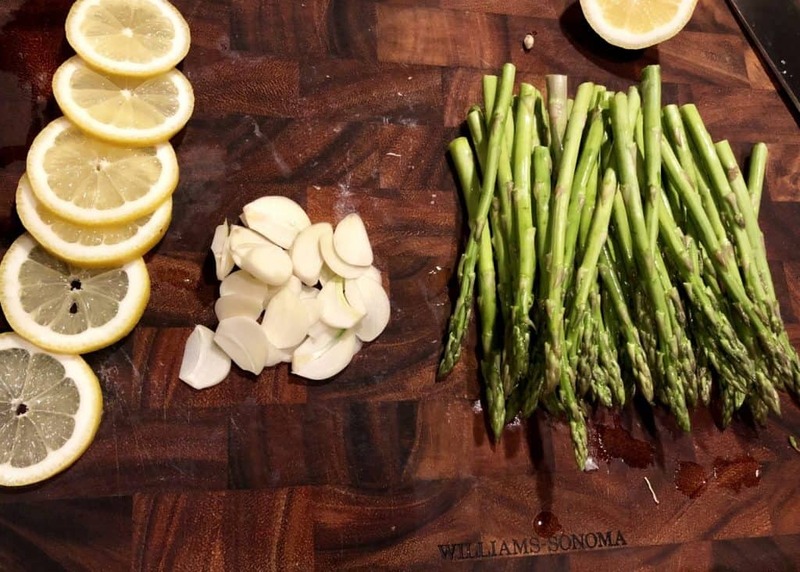 These flavors go so well with the fresh lemon and asparagus. I mixed the adobo seasoning with all purpose flour. 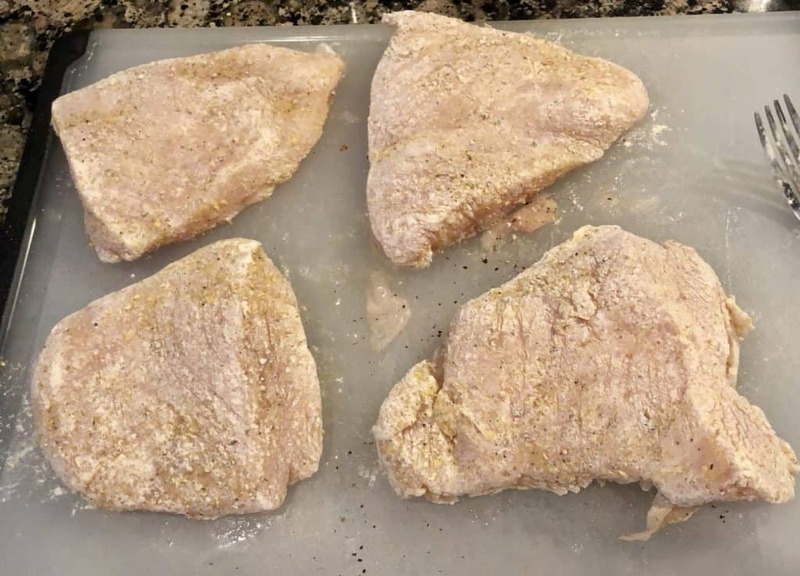 The flour gives the chicken texture and will give you that nice golden brown sear. Make sure to shake off the excess flour. 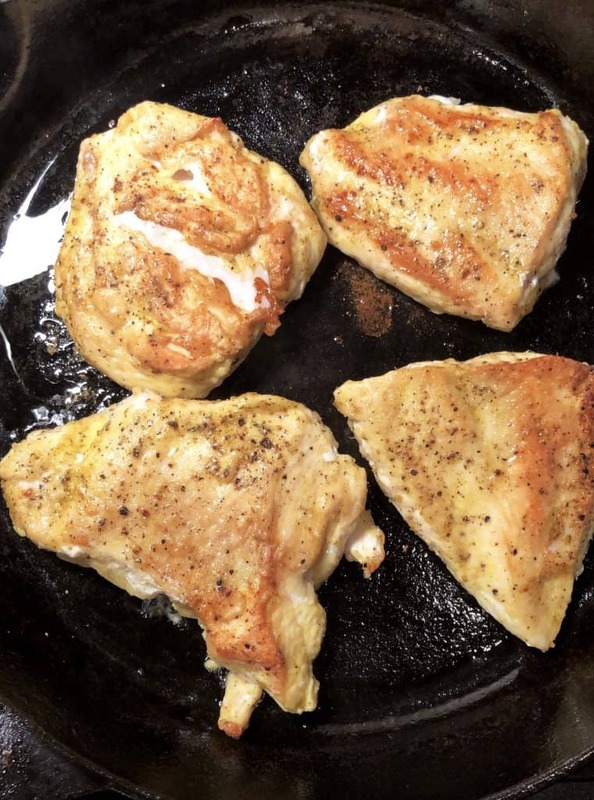 In a large cast iron skillet, I added a butter and then the chicken breasts. We are just looking to sear them and then they will finish cooking in the oven. I seared them on each side for 3-4 minutes, once they had a golden brown crust. Set aside on a plate. One underutilized technique is searing lemons! The heat not only gives them a nice char, but it releases and caramelizes the juices. I added some butter, a little lemon juice to deglaze the pan, and then added the garlic once the butter melted. 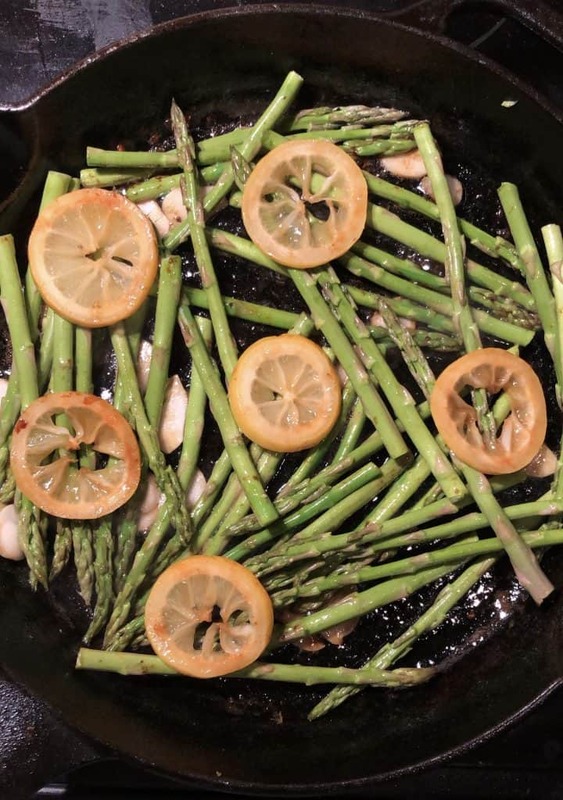 I sautéd it for a minute until the garlic was fragrant and added in the asparagus, then the lemon slices on top. 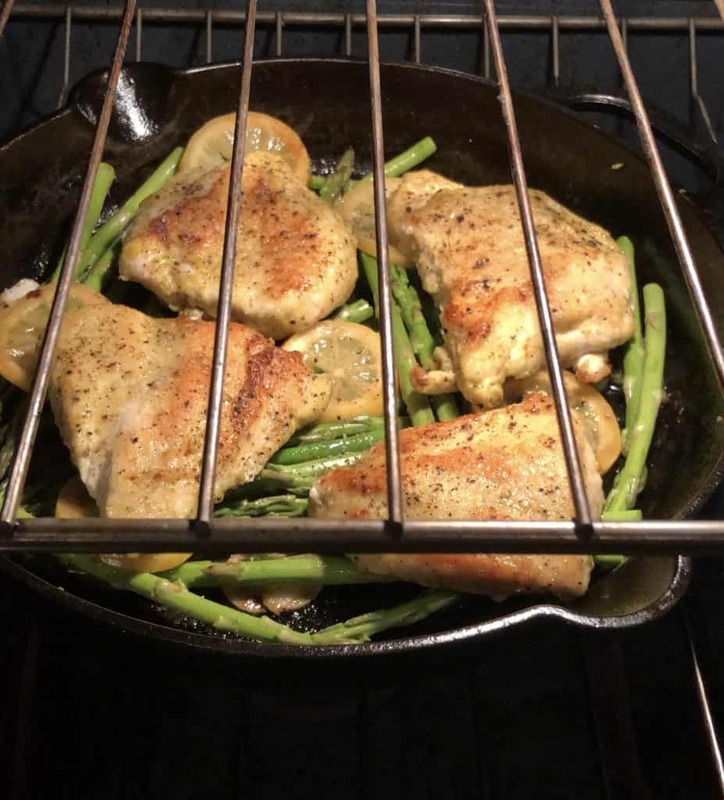 I added the chicken on top and put the cast iron skillet into the oven for 20 minutes. Depending on the thickness of your chicken, ensure it’s cooked through with an internal temperature of 165 degrees F.
Garnish with fresh parsley, and serve! Make sure to get some of those juices at the bottom! 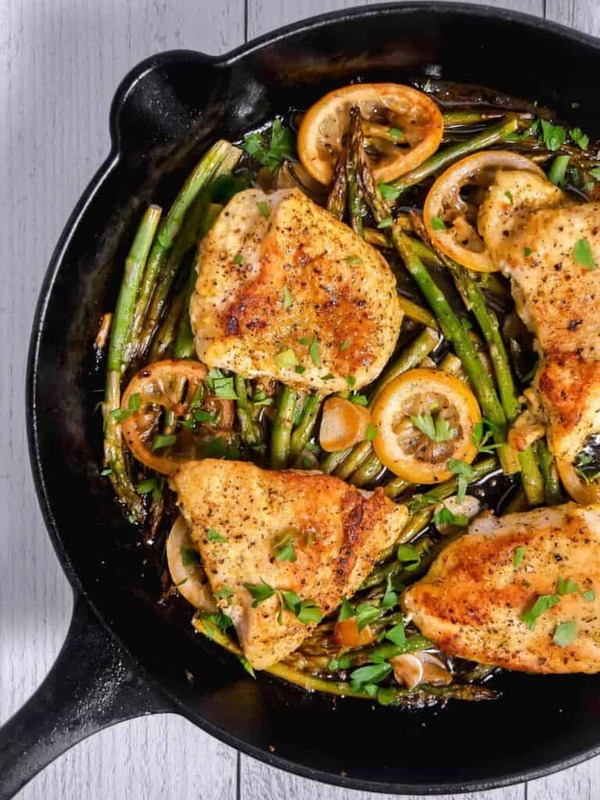 One skillet lemony chicken with asparagus. In a medium bowl, mix together the all purpose flour and adobo seasoning. Coat all sides of each chicken breast in the flour mix and shake to get rid of excess. In a large cast iron skillet over medium high heat, add 2 tbsp butter and melt. Add chicken breasts and sear each side for 3-4 minutes, until they are golden brown (but not fully cooked through). Remove and set aside on a plate. Lower the heat to medium. 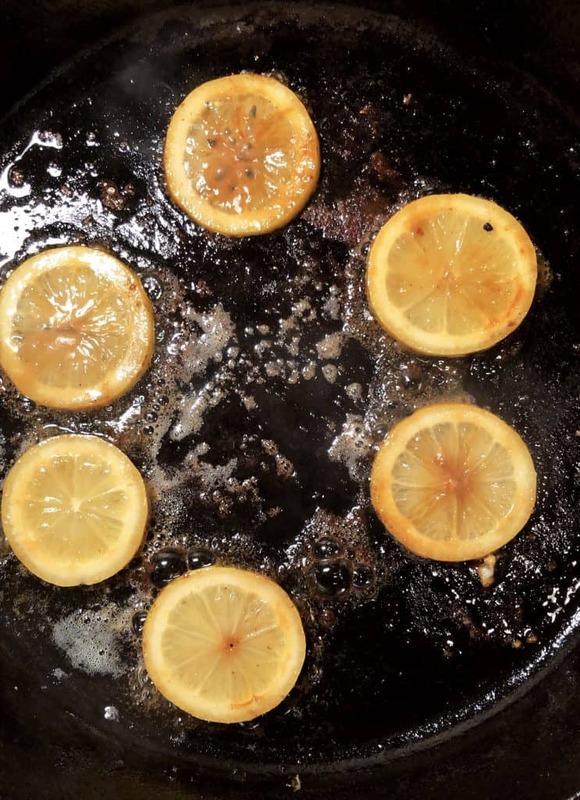 Add the lemon slices and sear each side for 1 minute, until they begin to brown. Remove and put with the chicken. Add the 1 tbsp butter, once the butter has melted add the 2 tbsp lemon juice and the sliced garlic. Sauté the garlic for one minute until fragrant. Add the asparagus, salt, pepper, and toss to combine. Add the lemon slices on top of the asparagus, then place the chicken on top. 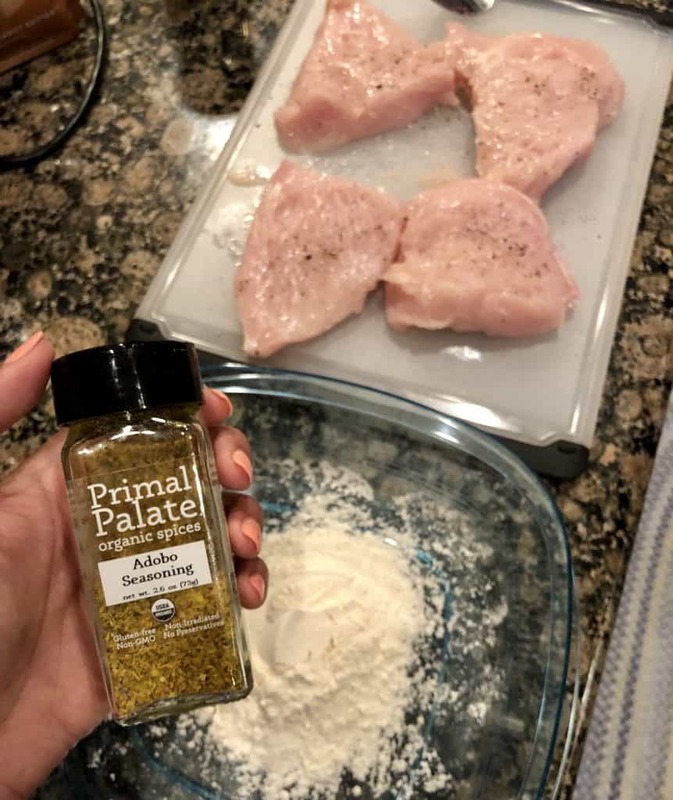 Place in the oven and bake for 20 minutes or until the chicken is cooked through with an internal temperature of 165 degrees F. Remove, adjust black pepper/salt if necessary, and garnish with parsley. If chicken breasts are extremely thick, you can cut them horizontally instead of pounding thin. There is a special place in heaven for people who char/saute/grill their lemons. Loving this. It really adds such a nice extra depth of flavor! Thanks jo!